Do you think having a great marketing strategy is enough to ensure success and growth of your brand? Well, the answer is NO. Having a stellar marketing strategy is not going to make much difference if you don’t know who you are targeting those efforts to! So what can we do to ensure that our business is growing in the right direction? Making the right connections with the right people can make all the difference between success and failure for a brand. However, another question arises here- how can we ‘build the right connection with the right people’? For the sustainable growth of a company, you need to reach out to the appropriate audience at the right time. The appropriate audience here refers to all those clients who fall directly under the scope of your business and contribute directly to your growth and success. In a competitive business landscape, finding a target audience is pivotal. Defining your audience allows you to focus on creating the right marketing campaigns, giving you more authority over what is available and what you have to provide. Since the business world is driven by fierce competition, not having a target audience or worse so, identifying ‘anyone interested in your product/service’ as a target audience will do your business no favor. You cannot afford to lag and lose time in reaching out to the wrong target segment. So, how to ensure that you don’t fall in the pit of failure that hundreds of others have? Well, to begin with, you need to empower your marketing team to connect with the right audience. 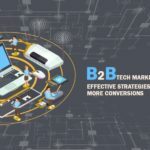 By leveraging the power of accurate B2B contact data and analysis of your business, you can improve your prospects of acquiring new clients and enhancing business networks. However, should you define your target audience to stay above your competitors? Yes, it is an excellent motivator for finding your target audience, but there are more reasons to identify the target audience. The advantages of finding a target audience are many. And using these to benefit your business should be an inevitable choice. Most businesses fall into a simple trap! They consider everyone to be their target audience. But just because someone shows interest in your product/service doesn’t mean that they will stick with you. Your targeted audience will come back to you for more. This is the simple thing about a target audience. They are not run-in-the-moment, they stay with you, faithful. So, not knowing your targeted segment may cause you to lose more than expected. If you are looking to build a loyal customer base, you need to know who you should be aiming for. Hence, the need for finding a target audience is significant! Now that you understand why you need a target audience let’s focus on how you can save time by targeting the right audience. To save time by targeting the right audience, you first need to master the art of finding a target audience. Without having an answer to who is your ideal customer, proceeding any further will be next to impossible. And “everyone” is still not defined as a target audience. For your product/service to reach the right audience, your assumption of the audience should be explicit. In other words, you should know who is buying from you. An ideal way to identify your target audience is to consider factors like demographics and psychological elements. Demographics include aspects such as age, location, gender, economic background, education, marital status, occupation, ethnicity, and even sexual orientation. When considering psychological factors, personality, attitudes, values, interests, hobbies, likes, dislikes, lifestyle, behavior and preferences come into play. To get your buyer’s persona, you need to answer each of these factors. Other questions such as if the audience will benefit from your product/service or do they perceive your intended message are also pivotal when deciding on a buyer’s persona. Finding a target audience is the first step to establishing your brand. Yes, knowing who your buyers can save you a lot of time because you know who you are aiming it at. Furthermore, you can also boost your sales and increase the return on investment. Thus, first define your audience precisely. When finding a target audience, ask questions to yourself and what your brand stands for. 1) Will the product/service add value to the customer? 2) Will it solve their immediate problems? 3) Does the product/service answer their pain points? 4) How will they use the product/service? 5) Does my brand objective relate to them? Having proper answers to these queries will give you a much-defined idea about who your audience is. If your product/service is of some value to the customers, they will come back for more. For B2B marketers, this process of finding a target audience can get extremely tedious. However, being persistent, analyzing data and learning from the previous mistakes can allow you to craft the right buyer’s persona. So first, invest your time in finding a target audience, and everything else will fall into place. How to Save Time by Finding a Target Audience? Finding a target audience can be difficult; however, the benefits of defining one can be of extreme significance, further boosting your business. We all know that finding a target audience brings forth a plethora of benefits, saving your precious time to focus on more pressing business matters. Now, there can different types of approach to take when trying to save time by finding a target audience. Some of these have been summarized here for you. The success of a marketing campaign is summarized on how it targets a specific group of people. Email marketing deals with sending commercial messages to a targeted group; this means that putting the right strategy into place can lead to increased brand awareness and even conversions. Most B2B marketers leverage email marketing at large for they consider it to be an effective strategic approach. Sending emails with specific messages to a group of people who will benefit most from it, who are already invested in your product/service is genius. You know that these people will open the email and will spend the time to analyze the product/service you have to offer. Also Read: How to Increase ROI with Email Marketing? Once you have identified your defined audience, you can start sending them relevant emails containing useful information. As the click-through-rates increase, so does your sales and ROI. Therefore, use email marketing to target your audience and save a lot of time. You wouldn’t be wasting resources on elements that don’t matter. You save time while making money! Lead generation is essentially the process of recognizing and cultivating potential clients depending on the product/service your brand offers. These well-planned lead generation techniques allow you to classify your audience further planning campaigns and attracting potential clients. For instance, a compelling video explaining a product/service on the landing page will work well with the audience, giving them a clear idea of what to expect from your business. Or sending them an email containing discounts and offers will increase the click-through-rates to your website. Not all campaigns will be successful and fetch similar results. It might be frustrating at times and can be excruciatingly time-consuming as well; the point is to keep developing amazing campaigns and grab the attention of your target audience. Strategizing and implementing beneficial lead generation methods is necessary. Analyze the time-period and the budget. Get the right data for all the activities that are taking place. This will allow you to target the prospects better. Based on accurate data, you can plan your marketing campaigns and get on with the task of generating business without wasting time to source out leads. Everyone is on social media! Everyone. Out of 7 billion people, 2.46 billion use social media actively. Be it an individual or a business, having a strong social media presence is pivotal for all. And when you are trying to save time by targeting the right audience, social media is the place you need to be. From tracking your audience to finding the latest trending topics, social media platforms give you an insight into the world. One recurring instance would be to follow hashtags and analyze your buyer’s interest. Using the hashtags on social media posts will help you reach out to them. This simple strategy saves a lot of time. Promoting your marketing campaigns on social media platforms will inform your target audience about your brand intention; and if it is appealing enough, they will come flocking to you. Also, find out which social media channel is your brand campaign working the best. While Facebook is the social media champion, for businesses, you can rely heavily on LinkedIn and Twitter as well. YouTube is a great platform to reach out to your target audience. Spending your time and resource to finding target audience on social media is marketing strategy done right. Your focus stays where it is ought to be! Your target audience. Be it Facebook or Twitter, Instagram or Pinterest, finding a target audience on social media is all that you will need to do to connect to the right people out there. Make sure that you are visible and everything else will start falling in the right place. When it comes to B2B marketing, the process of segmentation can be helpful in finding a target audience. Segmentation and clustering services are designed to make information purposeful further allowing you to connect and engage with the buyers. Through this simple method, you can boost your marketing efforts and improve your sale prospects. When you segment your buyers accordingly, for instance identifying people who will invest in your product/service and recognizing the potential buyers, you can strategize your marketing tactics accordingly. You can find such different sub-groups and categorize them. You can classify them according to their demography, geography, behavior and even business type. By clustering people based on their interest and preference, reaching out becomes more manageable and less time-consuming. It also aids finding a target audience for the group with the least response can be either eliminated from your campaigns, or you can devise a tactic to influence them further to use your product/service. Finding a target audience is a must for businesses. Not only to save time but to also increase the business prospects. The process might seem lengthy, but with the right push, achieving the goals is not that difficult. So, identify your target audience, understand their significance and invest in appropriate strategies to reach out them. Only by reaching out to the right audience can you boost your brand to the epitome of success. Have more ideas on how to save time by connecting to the right target audience? Comment below. For more such informative tips, subscribe today. To boost your customer list, you can seek services from DataCaptive. Contact us for more information.